12.85″ Pixel Qi Chrome OS Android 5.0 Laptop/Tablet Hybrid by Google for Q1 2013? - Optical lamination allows for outdoor readable capacitive Pixel Qi LCD. Otherwise IR based Neonode touch can work. - 20 million initial production batch, enough to make a significant mark on the market, next batch can be 100 million units. - Android 5.0 to support Chrome OS on top of Android. Same for Ubuntu on top of Android. Multi-booting becomes standard feature of Android. It's not really multi-booting, it's enabling to run alternative Linux OSes on top of the base Linux OS of Android. - $200, available worldwide on day 1. Second batch can be sold for $150 or $100. Schools can get rebates if they order one for every child. Google can subsidize a few of those millions to be used by Children in developing countries through the One Laptop Per Child project. - 16GB Flash with SD slots and potentially a 2.5" HDD slot. - 25 hours battery life. 200 grams flat battery dock doubles battery life to 50 hours. - Swivel screen. Super slim keyboard can hide behind screen for tablet mode. - ARM Cortex-A15, either OMAP5 with SGX544 or Exynos5 with Mali-T604. Maybe another comparable ARM Processor. - Modem slot, all types modems available as options, 3G+, LTE, White Spaces, easily user swapable. There is space for an internal usb modem too. Let me know what you think of this rumored Google hybrid here or at my Google+ thread. Neonode announced today a licencing agreement with the One Laptop Per Child project, turning a new version of the OLPC XO 1.75 Marvell Armada 600 ARM Powered Laptop into a tablet. Keeping the exact same form factor, keeping the exact same readability, keeping the same screen bezel form factor but adding in there the cheap Neonode IR based touch-screen technology. One Laptop Per Child thus far have shipped over 2.5 million Pixel Qi Laptops to Children in about 50 mostly developing countries worldwide. OLPC is still the biggest deployment of Pixel Qi screens worldwide, until someone as Google, Amazon or Apple comes in and gets it mass manufactured for commercial Tablet use. To keep the best possible readability, the least possible reflections in sunlight, using Neonode's IR touch screen technology may be the best idea for the future of Tablets and Smartphones instead of capacitive. SANTA CLARA, Calif. – July 26, 2012 – Neonode Inc., (NASDAQ:NEON), the MultiSensing touch technology company, announced today a licensing agreement with One Laptop Per Child (OLPC), a non-profit organization that designs, manufactures, and distributes laptops to children worldwide, to embed Neonode’s MultiSensing™ touch technology into the next generation of OLPC’s XO-1.75 laptop, called the XO Touch. The innovative OLPC XO Touch 1.75 is a 7.5” combined laptop and tablet that has a Dual-Mode (sunlight-readable) TFT LCD display which rotates 180 degrees and folds flat over the keyboard for tablet/e-book or game mode. Embedding the Neonode MultiSensing touch solution will allow OLPC to build a completely new type of rugged laptop-tablet that is extremely fast, cost efficient and energy saving, offering 100% visibility in bright sunlight. This is done without compromising the quality of the first-rate user experience, in full color, and with the highest resolution possible, i.e., 300 dpi. The Neonode MultiSensing technology consists of a state-of-the-art interactive touch user interface that includes gestures, multi-touch, and sweeps at an extraordinary scanning speed of 1000 Hz. Thanks to the energy efficient engineering, consuming just 2W, the XO Touch can be powered through alternative power generators like solar cells or even hand cranks. In addition, Neonode’s green engineering feature AlwaysON™, enables full gesture activated wake-up of the XO Touch when it is in sleep or off mode. OLPC, created by faculty members from the MIT Media Lab, sells the laptops in large quantities to governments and private institutions around the world, that in turn issue them to children or schools on a basis of one laptop per child. Pixel Qi has a bunch of customers doing tablets and laptops for Military and Industrial use such as the Orchard Inc Toughblet and the InHand Hydra T3 but they are not yet able to announce big orders from some of the major consumer oriented tablet makers. I'm hoping for the Google Nexus Tablet or the next Kindle to use Pixel Qi, but for any eventual announcements on that we'll have to wait further. I'd like to see Google invest heavily in Pixel Qi for a 7" 1024x600 screen to be mass produced for the rumored upcoming Nexus Tablet, providing it 20 hours battery life on an ultra slim form factor, with a very small bezel if they can make it have a plastics based screen, suitable for reading Google Books, suitable for outdoor use. Google should invest the money needed in bringing Pixel Qi to the mass consumer market. And then also Google can help bring the 2048x1536 9.7" Pixel Qi screen to the mass Android tablet market. The success of the iPhone and iPad is due to ARM Technology, but also to the investments Apple has made in using new screen technologies, Apple basically financed exclusivity for the 3.5" capacitive screen when launching the iPhone and they bought an exclusive on the 9.7" IPS screen for the iPad. Now also Apple invested the $2+ Billion getting an exclusive on the 9.7" Retina screen. Google should do the same, not only invest heavily to optimize Android on all the ARM Processors, Google should also invest the money needed in new screen technologies such as Pixel Qi LCD and use that for their "Google Hardware" Nexus devices but then also instantly allow access to the new screen technologies to every other Android hardware maker. Joyplus continues to show their Pixel Qi tablet prototypes. InHand releases their new Hydra-T3 ruggedized 7" Pixel Qi tablet. It runs on the Texas Instruments DaVinci DM3730 1GHz ARM Cortex-A8 and 800MHz TMS320C64X+™ DSP, up to 1GB DDR2, up to 16GB eMMc Flash, the Pixel Qi LCD screen is the 7" 1024x600 built using a chemically strengthened resistive touch screen layer (I wonder how readable this resistive Pixel Qi implementation is). Having been tested through the military specs MIL-SPEC, MIL-STD-810G, MIL-STD-461F it can support extreme temperature, fluid contaminates, solar radiation, fungus, immersion, shock and vibration. It uses a 37WHr redundant 3.7V Lithium Polymer battery for up to 10 hours of battery life. 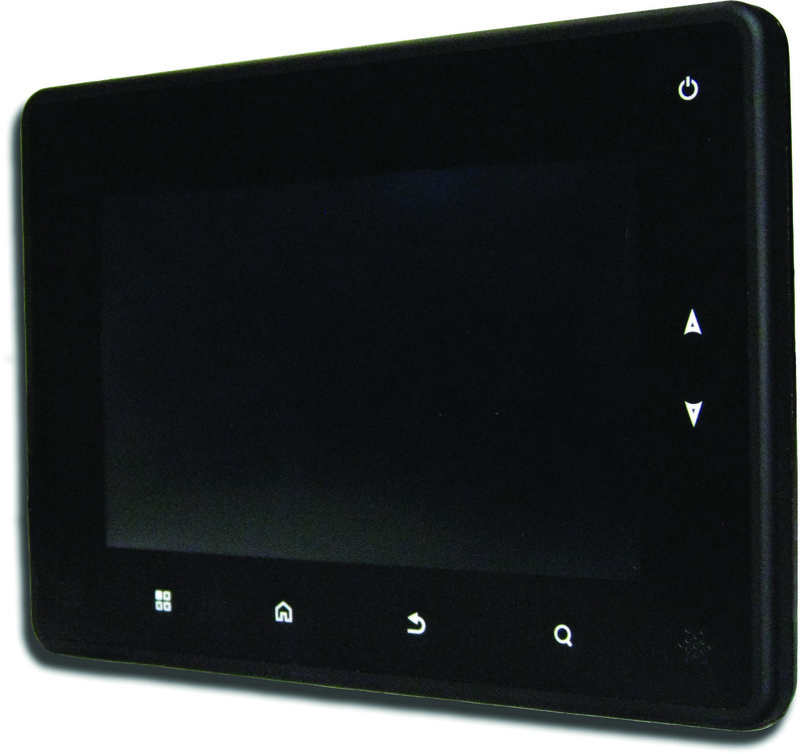 It can run Android 2.3, Ubuntu 10.10 and Windows Embedded Compact 6. This tablet seems to compete with the Orchard Inc Toughlet which is also a ruggedized 7" Pixel Qi tablet for military and industrial use. The military and the industry must be very eager to use the Pixel Qi screen for tablets outdoor readability, low power consumption as soon as possible. Joyplus is working on using the Pixel Qi 10.1" 1280x800 (for now, only showing the 1024x600 glossy in a prototype) and they are showing the 7" Pixel Qi 1024x600 on a resistive touchscreen prototype. Orchard Inc raised $4 Million for a tablet startup, here showing their titanium aluminium enclosure design, water resistant, unbreakable, with Pixel Qi and OMAP4 Powered Android, designed for outdoor use. The 1280x800 10.1" Pixel Qi screen is ready, here it is demonstrated under a bright spotlight simulating the sun as well as in some prototypes of upcoming Android tablets. Founder, CEO and inventor Mary Lou Jepsen talks about the latest news from Pixel Qi, where they are going, what they are up to. 3M (NYSE: $54 Billion current valuation) just announced together with Pixel Qi that they have invested in Pixel Qi Corp.
3M is the leading developer of innovative optical films for LCDs, probably the world’s largest. Together with Pixel Qi, they are capable of many interesting things. This should accelerate the availability of this screen technology to the mass market. First generation Pixel Qi screens are in over 3 million OLPC laptops being used by kids in the developing world, and Pixel Qi is ramping up deliveries of some of their latest screens to Chinese companies such as ShiZhu Technology and we should be seeing much more of that, hopefully also soon reaching the European and the US mass consumer market. ST. PAUL, Minn. & SAN BRUNO, Calif. & TAIPEI, Taiwan, Sep 12, 2011 (BUSINESS WIRE) -- 3M, through its 3M New Ventures organization, has invested in Pixel Qi Corp., a developer of next generation LCD panels with operations in Taiwan and California. Terms of the transaction were not disclosed. Founded by LCD pioneer, Dr. Mary Lou Jepsen in 2008, Pixel Qi designs unique, innovative LCD screens that solve problems not addressed by conventional screens. Its first products are sunlight-readable, low-power LCD panels aimed for mobile device applications. 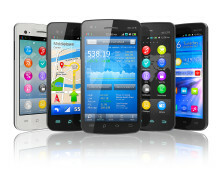 As consumers increasingly rely on connected, mobile devices in their daily lives, there is a growing, unmet requirement for display devices that offer portability, connectivity, long battery life and excellent indoor/outdoor readability in one device. Current displays are not able to solve all of these challenges simultaneously. Pixel Qi's unique technology platform eliminates the need for trade-offs and enables high quality, outdoor or sunlight viewing with excellent battery life and portability in one device. The combination of its technologies with those of 3M will create excellent new opportunities for both companies. "Pixel Qi's full-function color screen technology, for the first time, gives consumers an outdoor-readable video display with exceptional battery life, usable anywhere, anytime. It's a first in the industry. In our collaboration with 3M, we have the ability to accelerate this into mass adoption," said Mary Lou Jepsen, co-founder and CEO of Pixel Qi. The funding led by 3M New Ventures will play a key role in enabling Pixel Qi to develop its product offerings into volume consumer markets as well as digital signage and touch applications. The investment, which successfully concludes Pixel Qi's second (series "B") investment round, will also allow Pixel Qi to build and to strengthen its engineering and sales capabilities. Stefan Gabriel, president of 3M New Ventures said, "Pixel Qi's technology enables displays of such lower power and high usability that the vision of ubiquitous displays comes much closer to realization. In combining Pixel Qi's disruptive display technology with our technology platforms, we can create new business opportunities in the consumer and commercial markets for 3M." 3M's Optical Systems Division is a world leader in the specialized films used inside liquid crystal displays to optimize the light throughput. Pixel Qi's innovative LCD designs use such film technologies, and other advances, to create novel displays and enable the best outdoor readable, power efficient displays available on the market. "By addressing the energy consumption and sunlight readability challenges in one package, Pixel Qi provides a ground-breaking solution for the next generation of displays," said Jim Bauman, vice president, 3M Optical Systems Division. "The combination of Pixel Qi's low energy, reflective display technology with 3M's innovative technologies will create exciting products for the mobile, handheld, tablet and other display markets."